Listen to an innovative experiment in the Hindustani classical vocal performance tradition. A duet between a male and female that weaves through not one but two raags, creating varying levels of auditory pleasure. Jugalbandis, duets, have a long history in the tradition of Hindustani classical music. There are various combinations — vocal and instrumental, multi-vocalist, and multi-instrumental duets. However, there are certain limiting factors that prevent male and female singers from performing jugalbandis together. The first and foremost is the range at which each singer sings at. A Jasrangi jugalbandi brings the ancient concept of moorchhana (transposition of scale) to practical, modern application. The credit of the idea and developing it goes to Sangeet Martand Pandit Jasraj– he sought to find a way for singers with incompatible vocal ranges to sing concurrently and was inspired to study moorchhana by divine suggestion. Interestingly, the name Jasrangi came from an audience member in Pune, right after witnessing the phenomenon being performed. 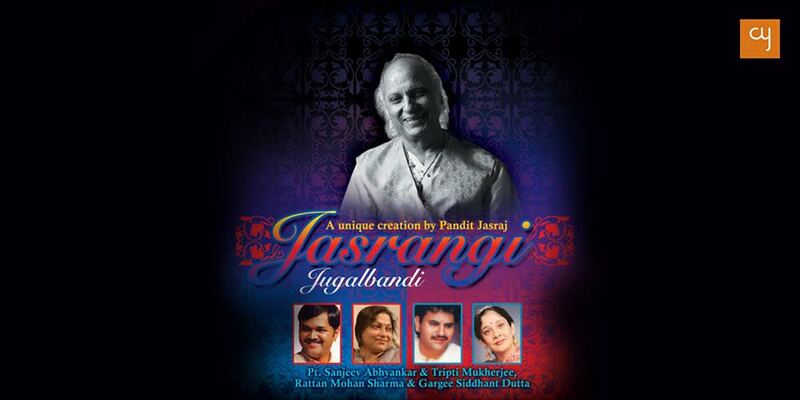 Here are three different examples of the Jasrangi Jugalbandi through the years. The explanations are quite theory-based, but the beauty of music is that one can feel emotions even without understanding all the technicalities. Feel free to listen to the pieces even without going for too in-depth analysis as these performances themselves are quite beautiful and moving. This first example features noted artists Pt. Sanjeev Abhyankar and Pta. Tripti Mukherjee, senior disciples of Pt. Jasraj. Pta. Tripti Mukherjee presents Raag Shuddha Basant while Pt. Sanjeev Abhyankar sings Raag Puriya Dhanashree. We could portray the transposition like this, though it doesn’t account for the raag’s lakshanas (rules and qualities) and vakra swars (conditional notes) that are distinct in the aaroh (ascending scale) and avroh (descending scale). Note: Lowercase represents komal (flat) notes and uppercase represents the shudh (unchanged/natural) notes. Excepting the madhyams, where the lowercase represents shudh and uppercase represents the teevra (sharp) version. As you can see, all of the notes that are being sung in these two raags are the ones in bold. The notes line up perfectly in both raags. 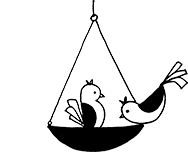 As a result, both raags can be sung at the same time harmoniously, even though technically, they are two separate entities. The first track of this album features Pandit Jasraj speaking about the background of the concept of Jasrangi. The jugalbandi then begins with both vocalists singing the Mewati signature ‘Om Shri Anant Hari Narayan’, with male on the shudh madhyam (4th scale degree) of the female key. 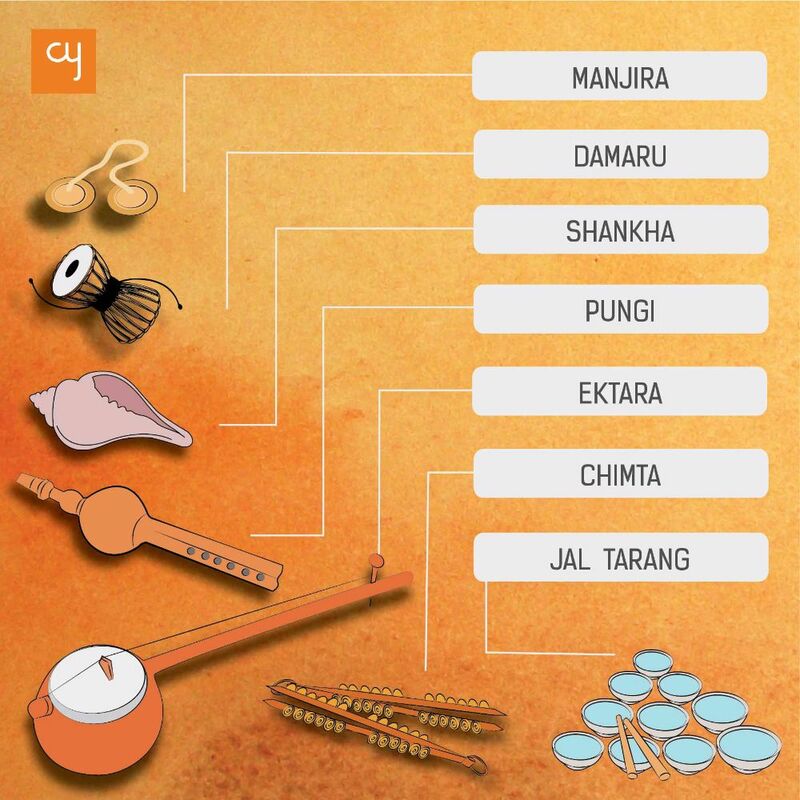 This creates a sweet harmony which will stun traditional listeners of Hindustani classical music. Next comes aalaap, improvisation. Pta. Tripti Mukherjee begins with her Shuddh Basant aalaap, highlighting all of the important phrases of the raag with elegance. Then ends her improvisation on shadaj, the tonic from where Pt. Sanjeev Abhyankar takes over, making her note the tonic, or base note of his improvisation. 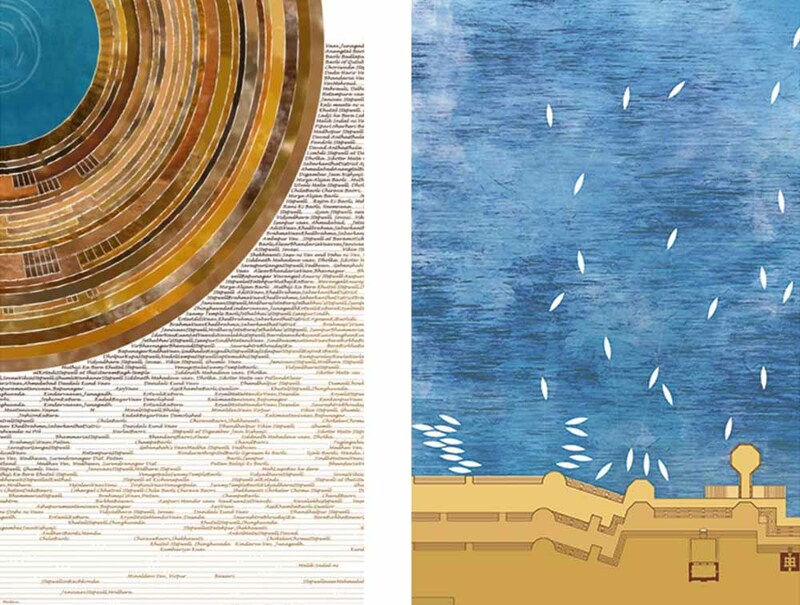 He follows with byzantine ornamentations of the recognisable phrases of the haunting night raag: Puriya Dhanashree. 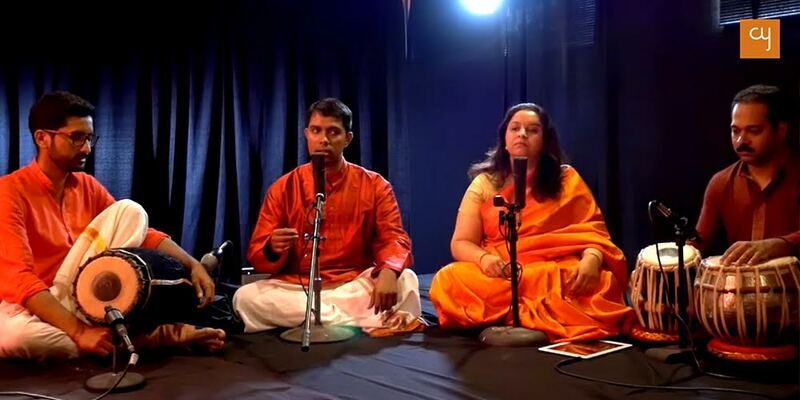 After he completes his piece, both singers join together once more with the repetition of ‘Anant Hari Narayan’ on each of their corresponding tonic notes. The words are the same in both raags — ‘Sakal Ban Phool’. It is amazing to hear the way that the raags dovetail into each other. After a few verses of aalaaps on the words of the composition, each vocalist does a quick back and forth in sargam (improvisation using the names of the notes). In this especially, when the female vocalist eludes the shudh madhyam of Shuddh Basant in the phrase (MGrs), it is easily mistaken for the same characteristic of Puriya Dhanashree where one tends to sing phrases which subtly elude shadaj. This composition is in vilambit ektaal, a 12 beat taal in a slow tempo. After this composition, the album features another Jasrangi Jugalbandi of the raags Vrindavini Sarang and Jog, sung by two more senior disciples of Pandit Jasraj — Pt. Rattan Mohan Sharma and Pta. Gargee Siddhanta-Dutta. It is the only track of the album that is available on Youtube here. This one is in a medium fast pace, and features amazing back and forth of the artists. So, be sure to listen to this, as well! These four extremely capable vocalists create a beautiful image with their elegant weaving of two raags, capturing some elusive ancient excellence with just their voices. This jugalbandi features again the Mewati vocalist Pt. Sanjeev Abhyankar, but this time with Jaipur-Atrauli trained Dr Ashwini Bhide. Dr Ashwini Bhide expounds on raag Abhogi, and Pt. Sanjeev Abhyankar on raag Kalavati. These are both classified as audav (pentatonic) raags which may cause you to assume that the ability to improve them is limited, but these two artists show how much creativity exists between the lines of these 5 notes. The artists begin together on their corresponding shadaj notes with ‘Shri Anant Hari Narayan’. 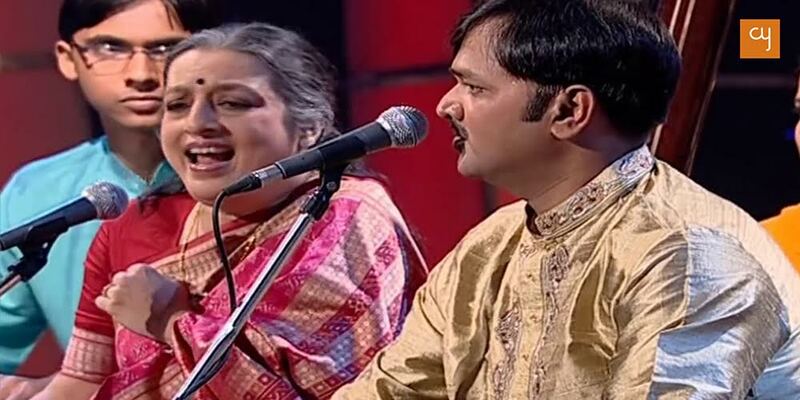 In this jugalbandi, the female vocalist begins again with the aalap. The aalap section, in this, is shorter than that of the previous one. Since this is a video, one can see some interesting technical parts of the jugalbandi. For example right before Pt. Sanjeev Abhyankar picks up the madhyam of Dr. Ashwini Bhide as his tonic note, she reduces the tanpura (which is ringing at her tonal centre) and he increases the volume of his (which is ringing at his tonal centre). The artists launch into sargams to fully demonstrate the jugalbandi that is happening. It is really clear around 2 minutes and 5 seconds when Dr Ashwini Bhide Deshpande sings the Abhogi phrase Dg-M-, and Pt. Sanjeev Abhyankar echoes with the same tune, but sang in the context of Kalavati: Gn-S-. The two artists begin their composition, again taking the same form as the previous jugalbandi, with the composition ‘Tore ghar ras barasat’. This is in the same 12 beat taal, ektaal, but in a faster tempo. They dizzyingly take turns improvising on each line, each making a unique pattern each time. It is amazing to hear the way they build off each other’s improvisations, but add their own flavor as well. Shri Lalit Subramanian and Shri Jai Sovani Garud. 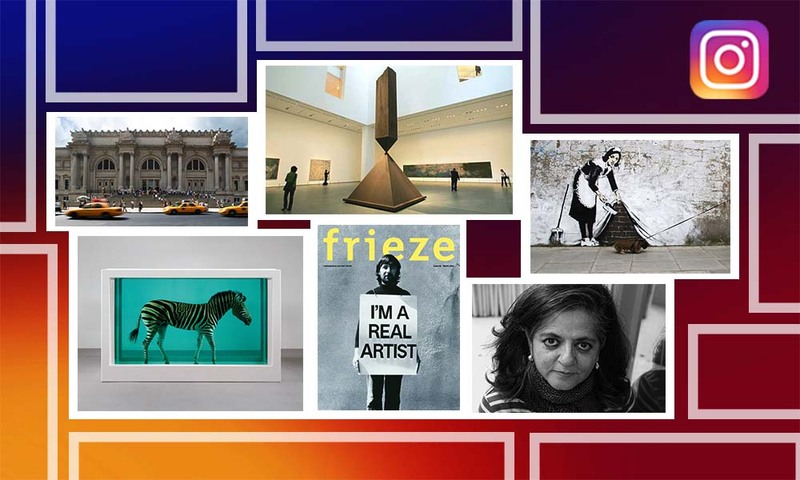 IndianRaga is an organisation that curates videos of classical music collaborations, focusing especially on the younger generation of singers. This performance is unique among others as it features one Carnatic Raag by Lalit Subramanianji and one Hindustani Raag by Jai Sovani Garudji. Though these two systems of music seem to have a lot in common, there are several differences, including intonation and approach of notes. Here is another visual representation of the estimated location of the notes of both raags. This time, the male vocalist begins first in Carnatic improvisation in raag Shubhapantuvarali. 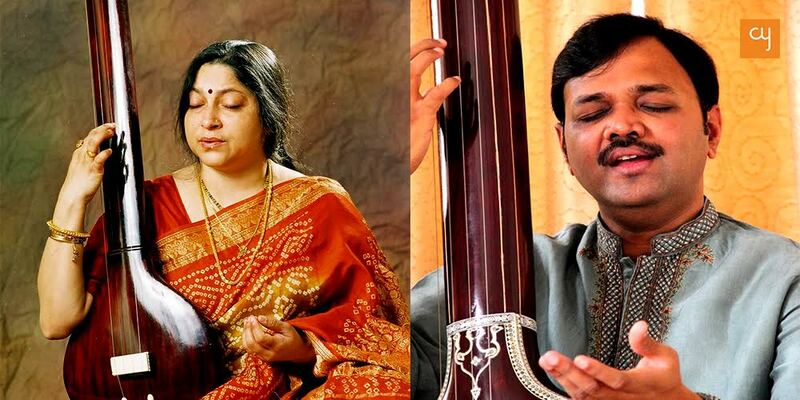 The only time they line up, so to say, is at around 3 minutes and 30 seconds when the Carnatic vocalist joins the Hindustani vocalist as she is holding the shadaj. 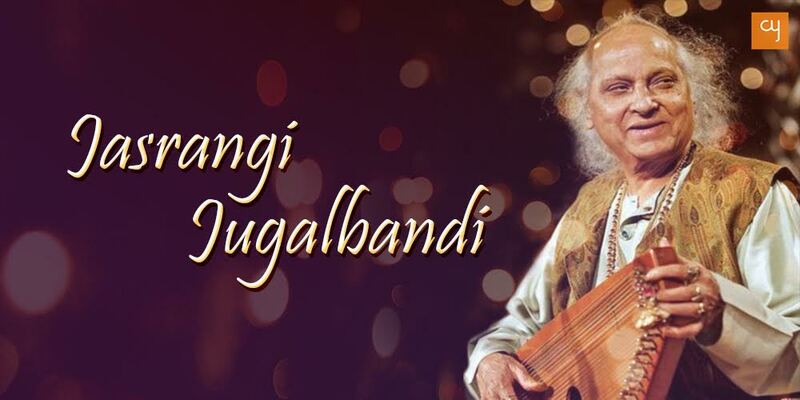 Vastly different from the past two jugalbandis due to the obviously different needs and limitations of the two classical music styles, one has to listen closely to fully experience the duet. There are two different compositions being sung, the artists trading after each part of the compositions. Additionally, there are two different percussion instruments being played- the mridangam with the Carnatic vocalist, and the tabla with the Hindustani classical vocalist. The ending could get confusing while listening to two languages and two singing styles at the same time, but the artists miraculously manage to keep the integrity of each of their styles intact and this itself is a feat to witness. Take a listen to some of these interesting Jasrangi jugalbandis to experience a new outlook, learn about the functions of raags, or just to enjoy really good music!